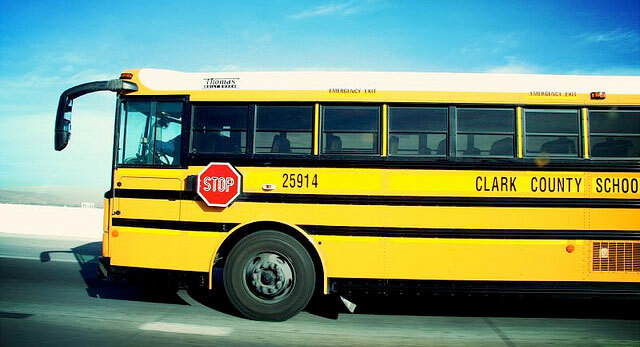 Riding the bus to school in the morning as a kid, didn’t leave a lot of fantastic memories. We were all piled in there, grades Kindergarten through Fifth. But I do remember some of the older kids occasionally convincing the bus driver to play their cassette tapes. I was always too shy to sing in front of people, but I loved it when others did. That made the rides feel a lot shorter. I remember a chorus of happy kids singing along to “Cool it Now” by New Edition, when it first came out. I remember the too-crowded feeling and the smell of too many kids in an enclosed space. I remember the way my legs would stick to the Naugahyde seats if I sat in one place too long, and that strange sticky sound it makes when you stand up. I also remember how much fun it was when a whole bunch of kids would sing the songs they knew. Those were pretty great bus rides.